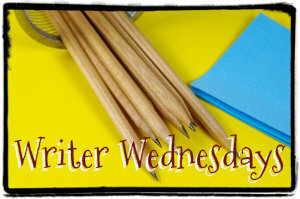 Advice given to new writers almost always includes reading; read what you want to write. When I was a child, my mother used to take my brother and I to the library every week. It got to the point that I couldn’t even carry the stack of books I needed to make it through the week and we began to visit the library more often. As an adult, I worked in a bookstore for two years. I think I was their best customer. After my sons were born, I listened to my friends complain about their children not going to bed on time and felt guilty. My children went to bed at 8:00, with a bedtime story, and never fought it. I was insistent on that, since 8:00 to 10:00 was my reading time. To this day, I read voraciously. I’ve been writing almost as long as I’ve been reading. I still have simple stories written in elementary school, an eighth grade Civil War report done as a narrative from the point of view of a slave, and pieces from my high school creative writing class. When I finished school, I kept writing but never showed anything to others. Fast forward almost thirty years. I had been teaching a number of years, showing countless students how to write stories with a beginning, middle, and an end; how to show not tell; how to correct their own grammar. I wondered if I could write a novel with a clear beginning, middle, and end. At this point I thought of myself as a mother, a wife, a teacher, but not a writer. Writing was a secret hobby. The problem with writing for yourself, though, is perspective. I thought my early efforts were wonderful, but my opinion was biased. It was wonderful because I’d written it. Finally, I showed the first chapter of my almost-completed first novel to a teacher colleague. I don’t think she realizes, to this day, that she was the first person to read any of my work. My husband and sons hadn’t even read it yet! She validated me as a writer when she liked it and wanted to read more. That gave me confidence to join a writing group, take a writing workshop course at Stanford, and sign up for TheNextBigWriter.com, an online writing critique site. As my writing improved, so did my confidence, and I began to refer to myself as a writer. My first novel received a lot of praise and a lot of criticism. My world of flying horses was not completely drawn. The background story was weak. Some of the logistics of the town were flawed. The characters and the flying horses, themselves, however, entranced readers of all ages. I realized I needed a prequel to set up the action in that novel. On a Wing and a Dare is the result of all the critical questions fired at my first novel, which languishes in Needs a Rewrite Land. On a Wing and a Dare came out in May of 2012. The sequel, In the Winds of Danger, (to be released in 2013) will bridge to that first novel, once it is heavily rewritten, tentatively titled Beyond the Wave of Despair. The trilogy is set in medieval Wales, in a remote mountain town in the province of Gwynned, and features a herd of flying horses used in an annual Aerial Games, sort of an Olympics in the air. In the first one, the horses begin to die and a trio of teenagers must figure out how to save them. The sequel follows a groom whose past haunts him and a rider confronted with an unexpected future. Linda Ulleseit was born and raised in Saratoga, California. She currently lives in the Evergreen area of San Jose with her husband. They have two adult sons and two yellow Labrador puppies. She enjoys cooking, cross-stitching, reading, and spending time with her family. Linda is a teacher at James Franklin Smith Elementary School, where her students were some of the early reviewers of her books. 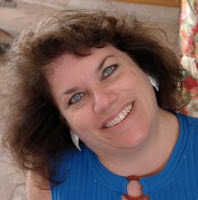 She loves teaching writing and has published several anthologies of student work. Her favorite subject is writing, and her students get a lot of practice scribbling stories and essays. Someday Linda hopes to see books written by former students alongside hers in bookstores. As a child, Linda always loved to write. She took her first creative writing course in seventh grade, accumulating a closet full of stories that she never showed anyone until 2007. At that time, she gave the first draft of a flying horse book to a teacher colleague to read. ON A WING AND A DARE began as a NaNoWriMo novel in 2009. It was revised with the help of reviewers on TheNextBigwWriter.com over the next two years. For NaNo 2011, Linda drafted the sequel, IN THE WINDS OF DANGER.